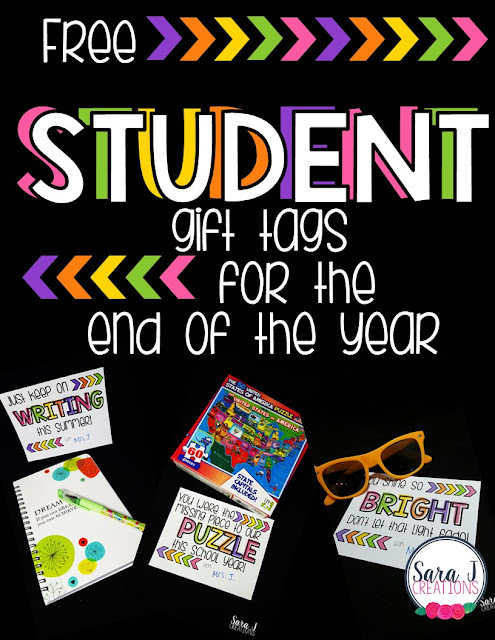 It is closing in on the end of the school year that means it is time to start thinking about gifts for your students. It is hard to get them something meaningful that doesn't break the bank for the teacher. I've got 10 ideas for you of easy, inexpensive gifts. 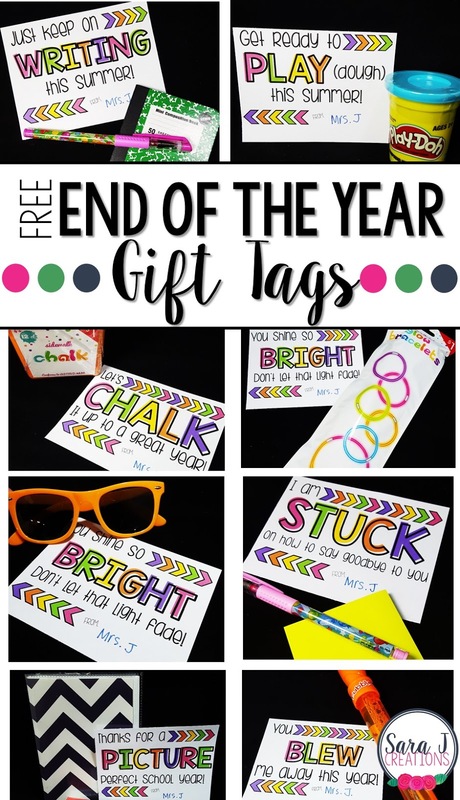 I've also included the gift tags as a freebie for you! 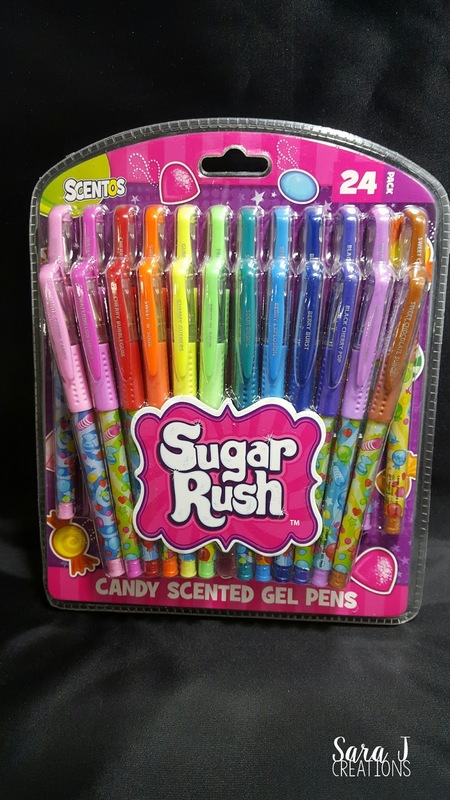 These Sugar Rush Scented Gel Pens were $12.99, but with a 24 pack you would only need one pack for an entire class (for some of you lucky teachers). If you you needed more, you could buy a smaller pack or have extra stored away for next year. 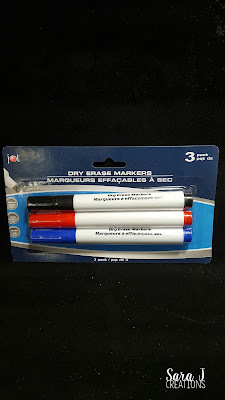 That makes it about $0.54 a pen. These mini composition notebooks are the cutest. They could fit in your pocket and come in a three pack. 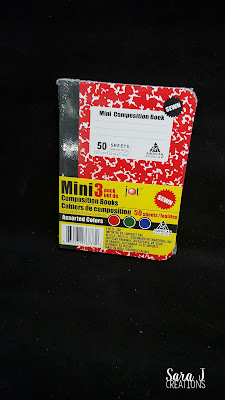 I found them at Dollar Tree which makes it about $0.33 per mini notebook. Now, let's get to some of the ideas! This is an idea that might take a little bit of time and planning throughout the year depending on how many pictures you take. You could grab a mini photo album ($0.97 each at Walmart) for each student. If you want, you could decorate them more or add each student's name. Then fill with pictures of the school year - field trips, playing outside, working hard in the classroom, posed pictures, a picture of you with each student, etc. You could also write a message and slip it into one of the page protectors. If your class uses social media like a class Instagram, you could use pictures from there for the albums. Your biggest expense will be printing out the pictures. If you keep an eye out throughout the year, Shutterfly often runs deals where you get 100 free 3x4 prints. Stock up during those times during the year to build up a collection of pictures for each student's album. These puzzles caught my attention at The Dollar Tree. The states and capitals version would be great for 3rd or 4th graders that work on learning about the US throughout the year. They also had color versions (with the color words in multiple languages), numbers and letters as well. This is a gift tag that you could use for two different gifts. I found this pack of glow bracelets in the dollar spot at Target for $1. 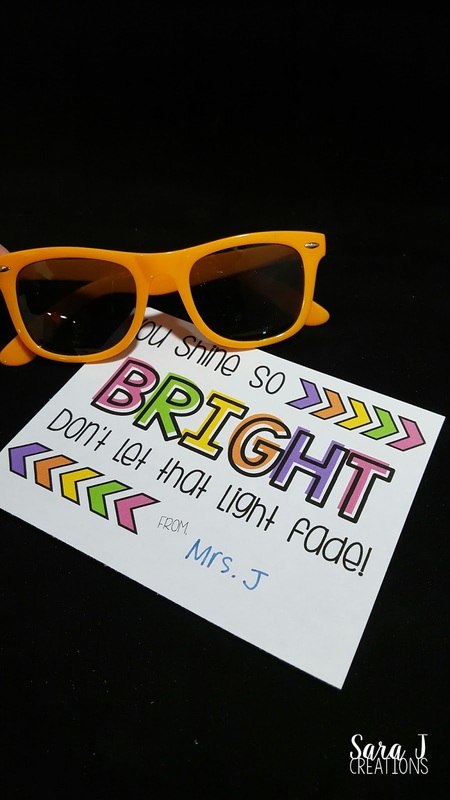 You could give each student a package or open the package and do individual bracelets. You could also use the same tag with pairs of sunglasses. I found this pair at The Dollar Tree and they come in a variety of colors. 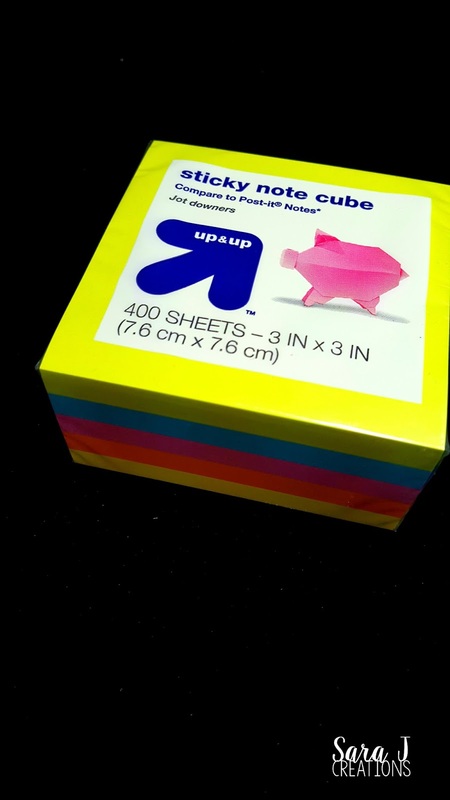 What kid doesn't love sticky notes? They are probably used to seeing them in your classroom and maybe even using them for different assignments. Now, they have their own stack of notes and a fun pen to write with. I found this sand pail with attached shovel for $1 in the dollar spot at Target. You could give it as is or fill it with other things - books, stickers, candy, pictures, work from the year, a card, small toys or games, etc. How fun would it be to send home a dry erase board with each student? They could practice handwriting, math problems and more at home. I found this board at The Dollar Tree. It has lines and the alphabet on one side and then a blank white side on the back. 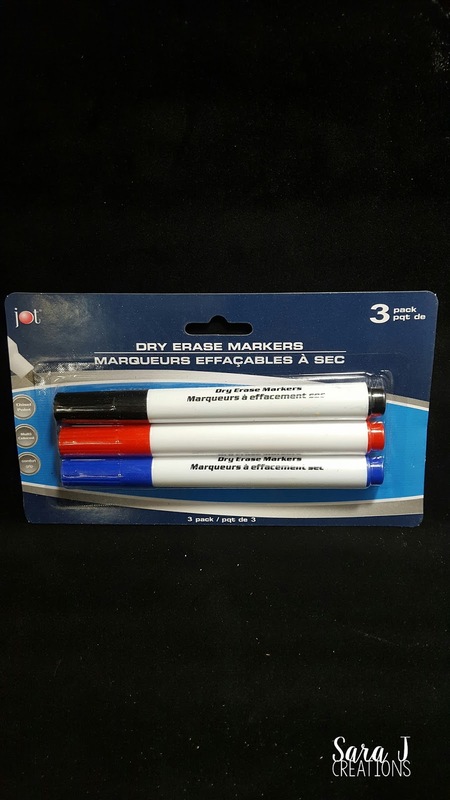 The marker also came from the Dollar Tree and were a generic brand. I've also seen Expo markers there at times. 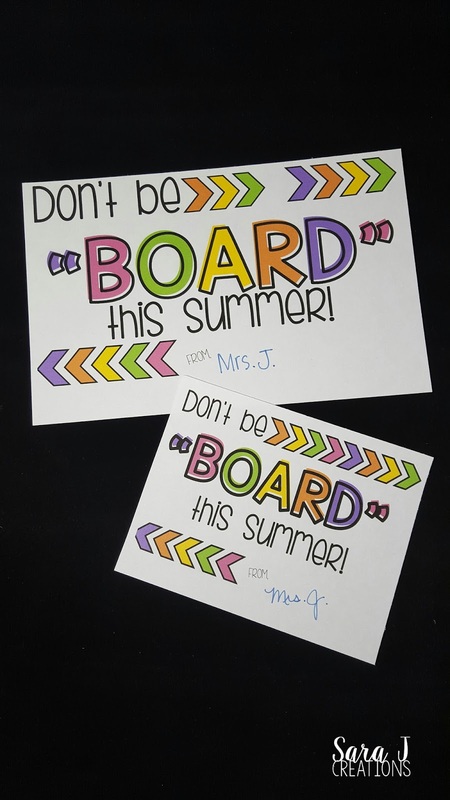 I have heard others say that you can go to a store like Home Depot and buy a large sheet of dry erase board and have them cut it down to small boards for each student. I haven't tried this so I don't know if this is actually an option or what the cost is, but it is worth a shot. There are so many possibilities with playdough. They can just play with it or use it for spelling words or counting practice. It is great fine motor practice and students love a fresh can of it. I found these cans sold individually at Target for $0.99. You could also make homemade dough and give it to students in small plastic containers or ziploc bags. Bubbles are another fun summer activity! I found this giant bubble wand at Target for $0.99. 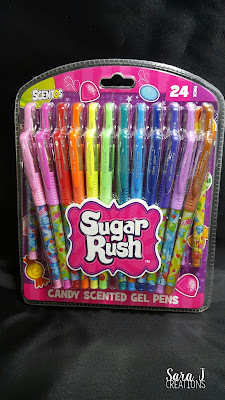 You could use the same tag with a different type of bubbles or even use it with packs of bubble gum or a BlowPop sucker. Fun colored chalk is always a hit in the summer with young students. This pack was in the Target dollar spot for $1 but you could break it up into smaller packs if you want but that is an awesome price for 12 pieces of chalk. This is another gift that the teacher in me loved giving my students. 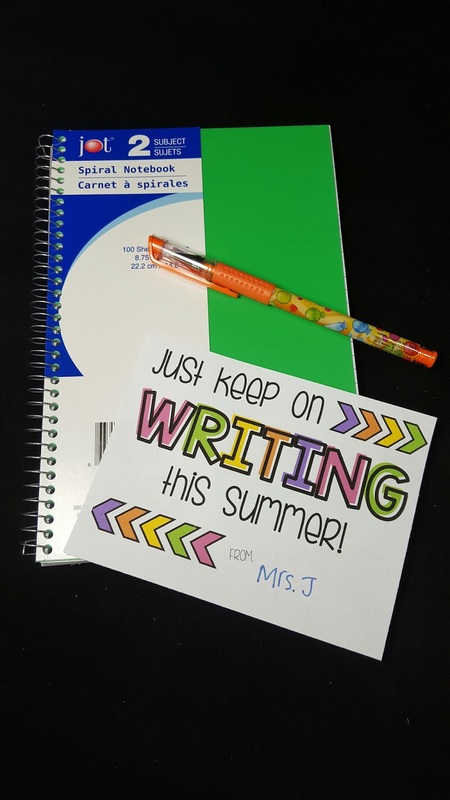 I always wanted to encourage them to keep writing about their summer adventures throughout the summer. 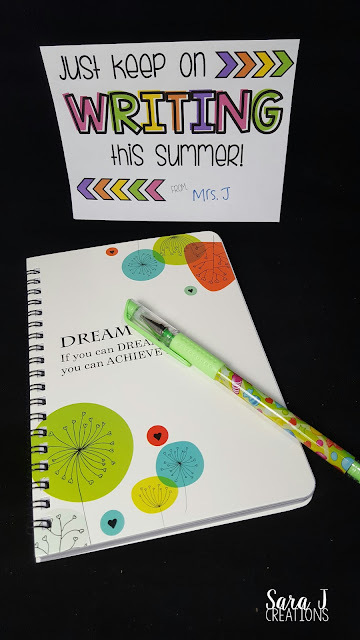 An easy way to do this is to give them a cute pen and a journal. There are so many different options. The mini composition books come in a three pack from The Dollar Tree. The other journals are bigger with more paper and are $1 each at The Dollar Tree. Kind of cute to find different motivational sayings for your students. So what do you think? 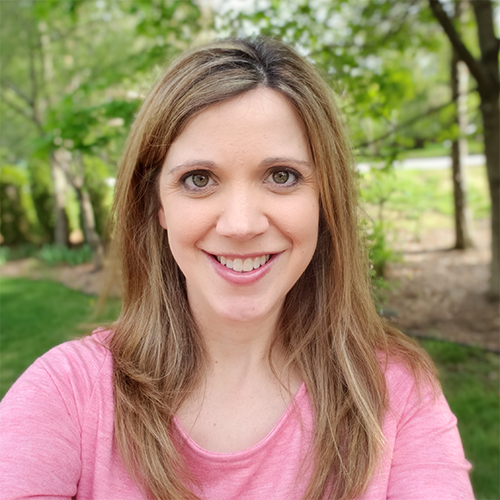 Did you find some ideas that you could use with your own students? Each of the gift tags is in color and can be printed on paper or cardstock for more durability. There is a spot to sign your name and you could use the back to write a longer message. The tags come in two different sizes - a half page option and a quarter page option. The download button below, fill out your contact info and the tags will be emailed directly to you.=. If you use these and share on social media, tag me (@sarajcreations) so I can see how you decided to use them.